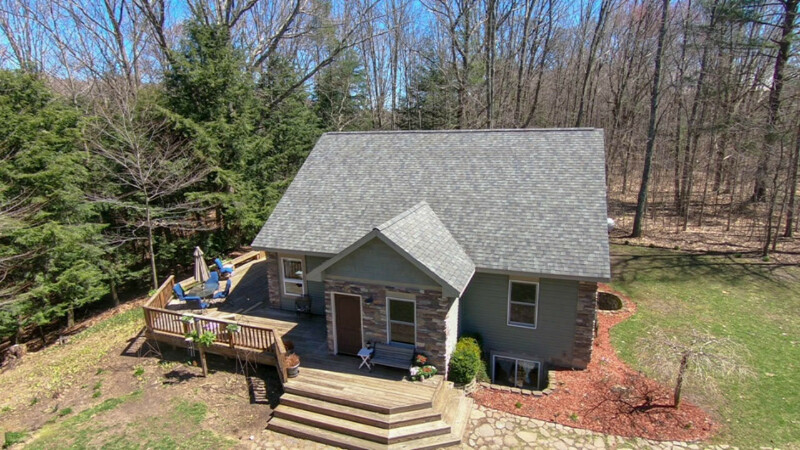 Woods, water, and an amazing "Energy Star" home is a rare combination you will find in this custom built home! Features you will love include distinctive Australian Cypress flooring, hickory cabinets and granite counter tops. A large master suite with a huge tiled bathroom, and an open floor-plan with a great room facing an awesome 1100 square foot deck. Downstairs features a large family room, Wet bar full bathroom and 2 bedrooms and includes a built in gun safe. Outside you will find two koi ponds, with fish, a 28 x 40 pole barn, and a pavilion. The property also has two trout streams (Graham and Brooks Creeks) both of which have salmon and steelhead runs. There is also a good number of valuable Hardwoods and great hunting for deer and turkey. Underground sprinkling and an invisible dog fence completes the package. Underground sprinkling and an invisible dog fence completes the package.